The LOCI-3 is an excellent decision support instrument for treatment planning and placement. It provides comprehensive documentation of ASAM criteria placement findings for adults. 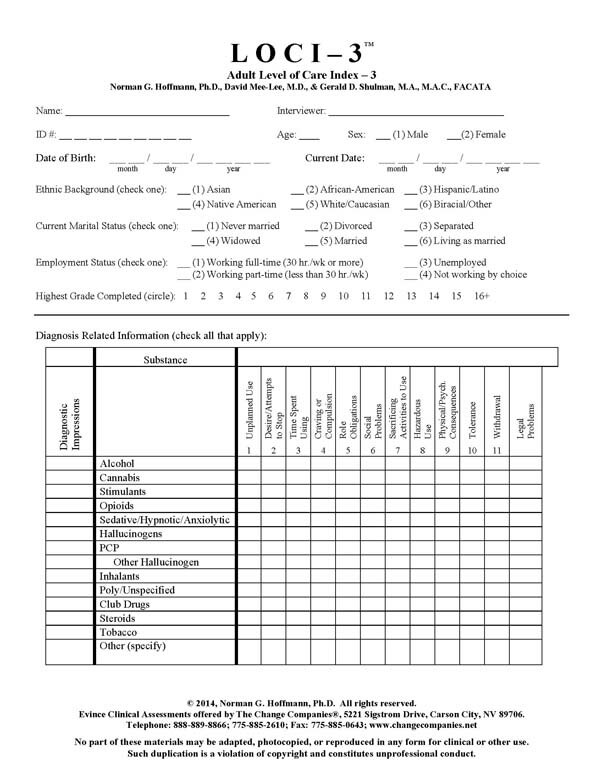 This comprehensive tool is designed for use at admission, subsequent continued service reassessment and at transfer or discharge. 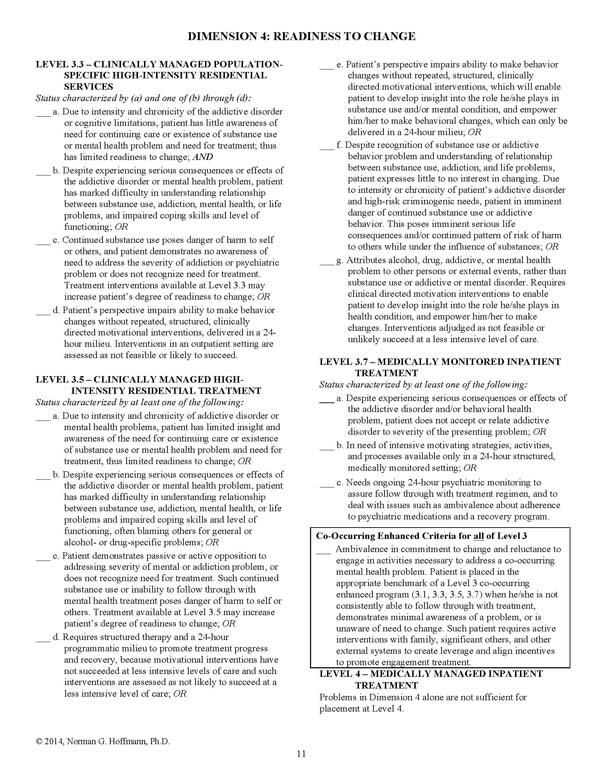 It provides documentation for up to six assessments per case to record treatment progress. 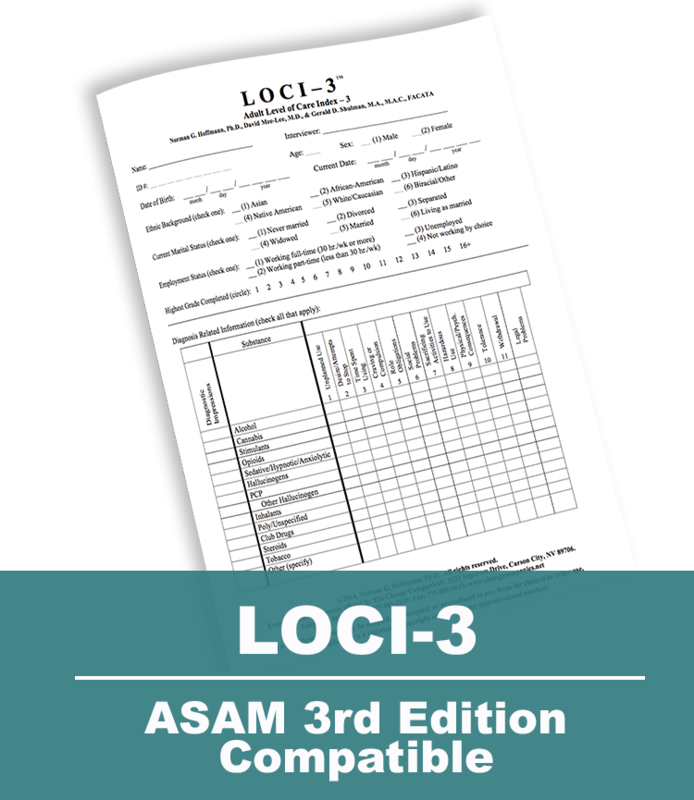 The LOCI-3 is a practical tool to implement the ASAM criteria in routine clinical practice. At treatment intake for identifying individual client needs. Helpful in documentation of continuing stay and discharge/transfer decisions. Ideal for use as a means of integrating staff input from a multidisciplinary approach. 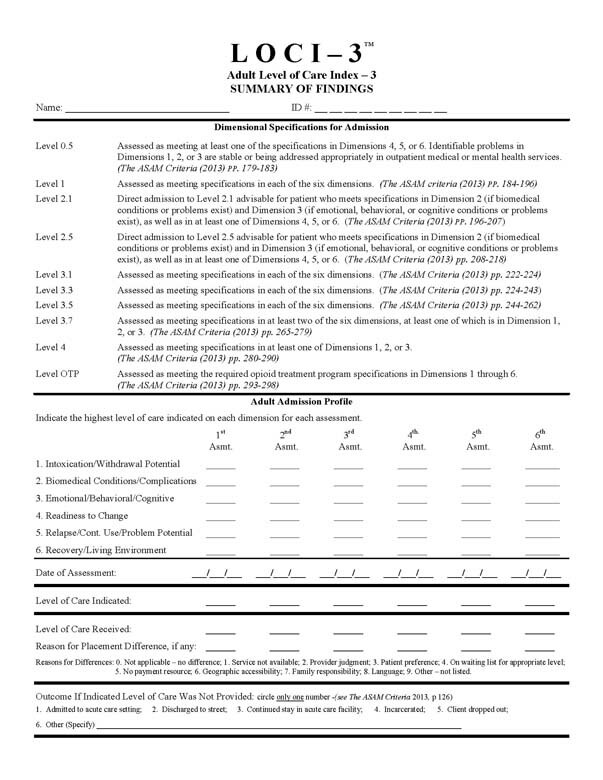 Documents clinical change during an episode of care on a single form. 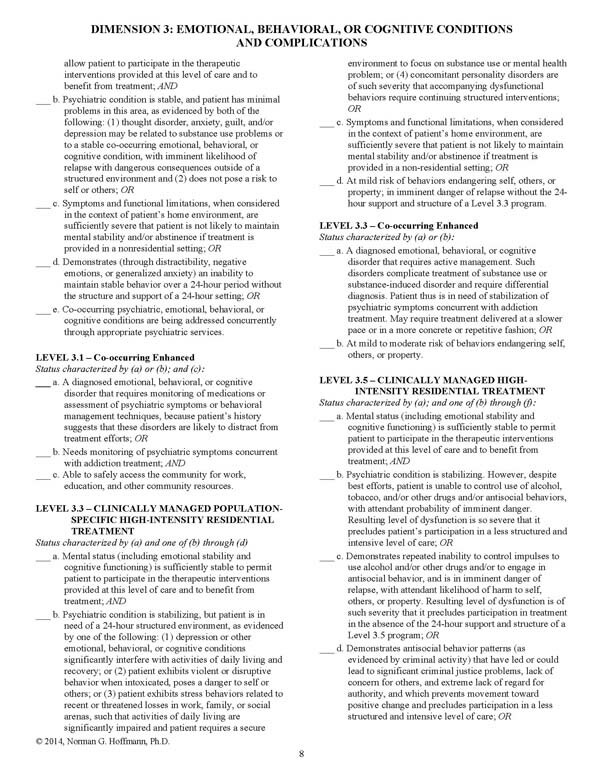 Provides sound, consistent placement documentation for reimbursement issues.